Though the town elders have yet to acknowledge it with so much as a single commemorative plaque, Steve Hockensmith was born in Louisville, Kentucky, on August 17, 1968. 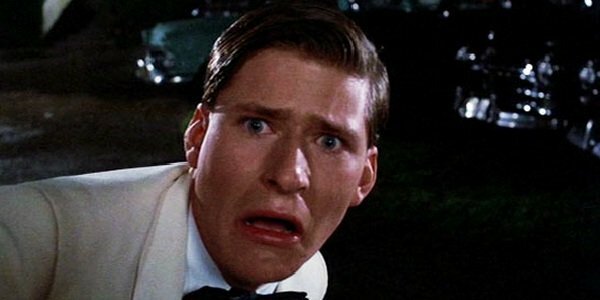 The first two decades of his life passed uneventfully, the only notable highlight being a short stint as an intern at People magazine, an experience that allowed Hockensmith to realize his lifelong dream: crank calling Crispin Glover. Despite (or perhaps because of) such lapses in his professionalism, Hockensmith became an entertainment journalist, writing about pop culture and the film industry for The Hollywood Reporter, The Chicago Tribune, Newsday and lots of magazines and newspapers you’ve never heard of. Sensing that print journalism was going the way of Raphus cucullatus, however, Hockensmith switched to an industry that he knew would offer dependable stability for decades to come: publishing. Hockensmith is not known for his business acumen. Nevertheless, his first novel, the Sherlockian mystery/Western Holmes on the Range, was a finalist for Edgar, Anthony, Shamus and Dilys Awards in 2007. A slew of sequels followed: On the Wrong Track, The Black Dove, The Crack in the Lens, World's Greatest Sleuth! and the soon-to-be-published (when Hockensmith finishes it) The Double-A Western Detective Agency. In 2010, Hockensmith tried his hand at romzomcoms (romantic comedies with zombies) with Dawn of the Dreadfuls. Though a prequel to the hit “mash-up” Pride and Prejudice and Zombies, Hockensmith’s novel was 100% original. Well, 100% new, anyway. Most of the characters and settings came courtesy of Jane Austen, who’s been a real doll about the whole thing and hasn’t complained yet. In March 2011, Hockensmith completed the PPZ trilogy (yes, it's a trilogy now) with the novel Dreadfully Ever After. Hockensmith has launched three other series with the help of collaborators. The White Magic Five & Dime books are mysteries with an occult twist provided by tarot reader supreme Lisa Falco. The Nick and Tesla middle-grade mysteries teach kids about DIY science thanks to the help of gadget-building maestro "Science Bob" Pflugfelder. (The third book in the series, Nick and Tesla's Super-Cyborg Gadget Glove, was a finalist for the Edgar Award in the Best Juvenile category. For those of you keeping score, that was Steve's second Edgar nomination. Yippee!) And the Secret Smithsonian graphic novels (created with co-writer Chris Kientz and illustrator Lee Nielsen) follow the adventures of time-traveling middle schoolers who learn about history even as they protect it from meddling villains. Though he considers himself a Midwesterner at heart, Hockensmith currently lives in California’s Bay Area. He says he’s adjusted to life on the West Coast, but confesses that he still misses thunderstorms, snow and Long John Silver’s Seafood Shoppes. He shares his home with the perfect wife, two perfect sons, two slightly imperfect dogs and a hermit crab who's a bit hard to judge.